Vitals Dashboard for Labtech MSP Providers. [Labtech]Mac Script to install Vipre Business AntiVirus. Labtech out of the box comes with a older version of RDP client that when is pushed to full screen looks really crappy. That’s not Labtech’s fault but the limitation of the RDP client they packaged with the LTClient software. One of the great things about Labtech is you can customize it to your needs, Labtech does not force you to use “what they have”. 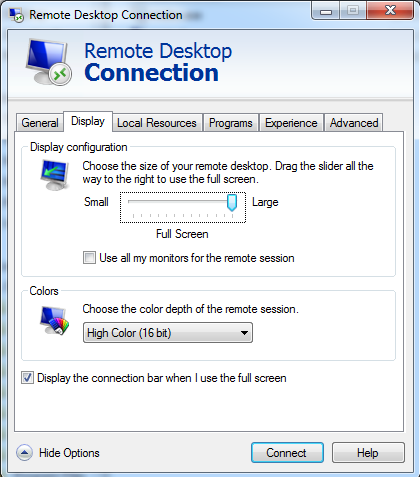 Today I will walk you through creating a new redirector in Labtech and setting up a new full screen Remote Desktop Client function. Some of the things you will need are, admin access to your LT server and a Windows 7 workstation to harvest the mstsc.exe from. As stated above the mstsc.exe supplied with LT is old and limited, we will need a new mstsc.exe to do full screen like we want. First thing we need to do is copy our Windows 7 mstsc.exe to our LTClient directory and rename it. 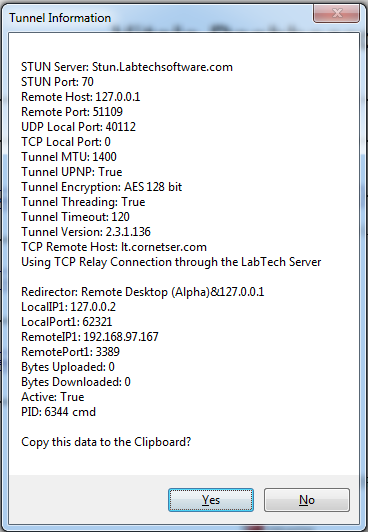 Now if everything was saved correctly you should have a Labtech Client\RDP directory that looks like this. Notice the file sizes of each mstsc.exe file? Now come the fun stuff, creating the redirector in Labtech. 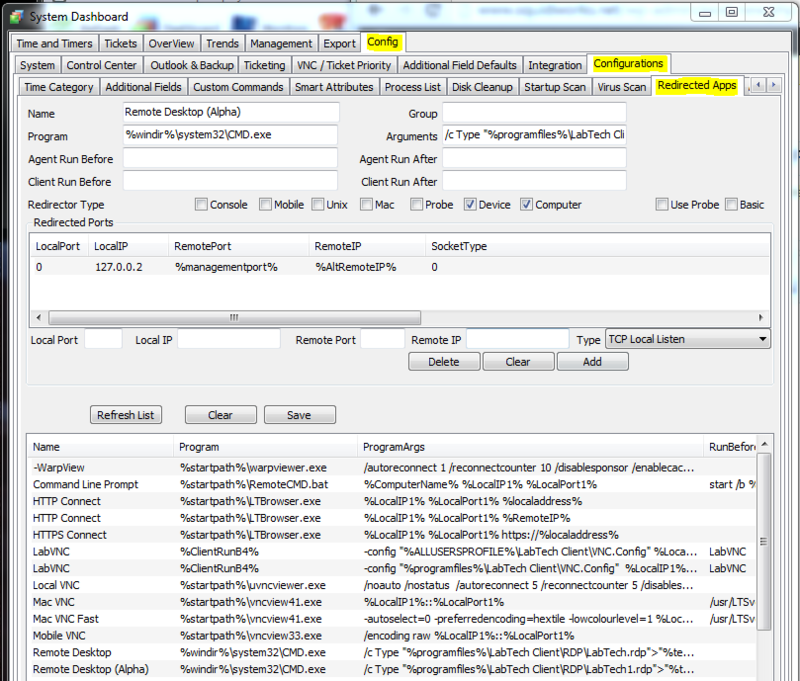 Lets open up the LT Dashboard and select Config Tab -> Configuration Tab -> Redirected Apps Tab. Lets create a new redirector using the following information. If all went well you should be able to reload your cache on the LT Client and then see the new redirector you created on your network redirectors menu. 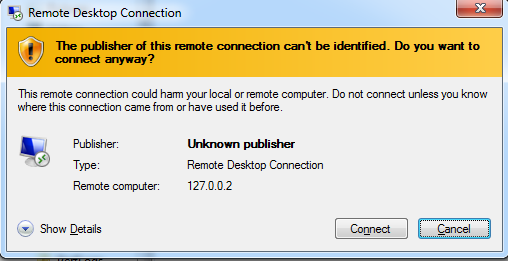 Now when you launch your new redirector you should see things happen a bit differently from the original Remote Desktop connection that Labtech uses. Make sure to input the domain name your connecting to in with the administrator account to access system. 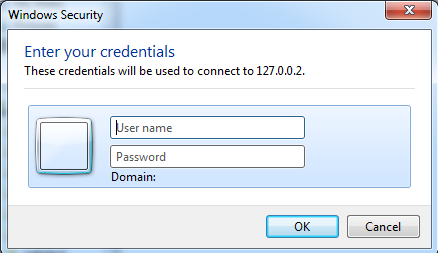 If it populates with a previous connections domain name and you would like it to forget those credentials when new connections are created then follow my step by step instructions located on one of my other blogs -> Drop Credentials. Now if you have multiple techs working for you and they all want the RDP full screen function then they will need a copy of the 2 files we created above. I created a Labtech script to copy the files from my LT transfer directory to the local LTClient directory as needed then push that to all tech computers so they also have the required files locally. If you ever need to update the files then it makes it easy to resend them to everyone who needs them.